Note: An advanced reader copy (ARC) was provided by Forever (Grand Central Publishing). 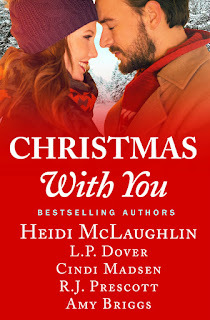 I've been on a bit of a holiday reading binge lately, and the Christmas With You anthology provided exactly what I needed, courtesy of five short stories all tied together by the town of Friendship, Massachusetts and an extraordinary homeless man known only as Gabe. This gets an overall average rating of four stars. Layla Aberdeen is a well-known fashion designer whose last line didn't do as well as was hoped, leading her to find solace by moving to the small town of Friendship. There she meets Colin Jennings, owner of the house she was renting for a year and owner of the Snowflake Inn. I loved the connection these two shared and how Layla found community and a home in a place so different from the city she used to live in. This was a sweet and easy read and a great start to the anthology. Four stars! Take a bride with a groom who refused to marry her--informing her of his decision WHILE they were standing in front of the altar, mind you!--and a grump of a sheriff plus a bunch of matchmaking townsfolk and you've got this lighthearted read. Friendship, MA isn't a whole lot like Cambridge, MD, but Regina needs something a whole lot different right now. Sheriff Emmett Haywood doesn't seem to smile a whole lot, but Regina inspires it out of him. Their story was fun to read. Four stars! Friendship, MA isn't quite like her home state of Florida, but Samantha has promised her older sister to spend two weeks of the holidays with her and her family. Since the deaths of her parents, Samantha hasn't been all gung-ho about the holiday season, but meeting single father Jason Hayes could change all that. This was an okay read and it highlighted Gabe more than I expected, which I was iffy about because it took away some of the magic from his appearances since he did a whole lot more explaining about himself here and there was a lot of drama between the sisters and I didn't feel the connection between Jason and Samantha as much as I wanted to. Three stars. Formula One driver Jensen Caldwell goes to Friendship, MA to say one final goodbye to a dear friend and mentor and finds a beginning to much more with Lauren Matthews, a woman who wants to lead a better life. I'll admit it: This was my absolute favorite in the entire anthology. The story had a whole lot of heart and there was a great deal of depth to it, a difficult enough feat when it comes to full-length novels, what more short stories like this one. Five-plus stars! Rory and Gwen are married and parents to their daughter Ruby, but all isn't well in their marriage. He's a workaholic and she'd fed up with his putting work before their family. This felt like an homage to the holiday classic It's a Wonderful Life, and it was a pretty good read, the only one among the five stories that had a married couple. Four stars. Learn more about Amy Briggs, L.P. Dover, Cindi Madsen, Heidi McLaughlin, and R.J. Prescott. 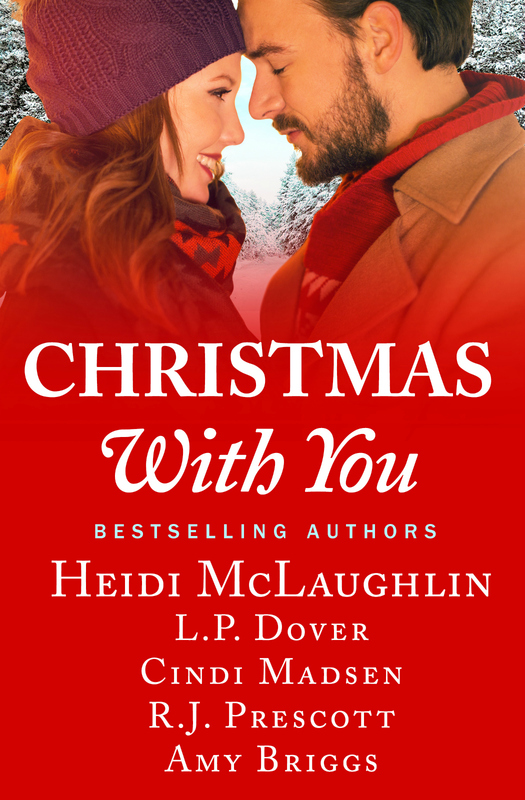 Purchase Christmas With You on Amazon | Apple Books | B&N | Kobo.